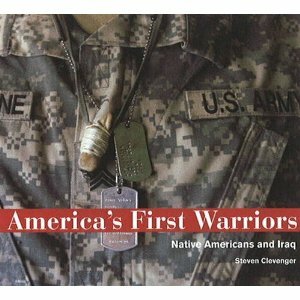 NPR’s “Talk of the Nation” has a great interview with Osage photojournalist Steven Clevenger, author of America’s First Warriors: Native Americans and Iraq. Among the topics discussed in the interview, why do Native American people serve in such high numbers for a country that historically treated them so badly? Have a listen and check out a sample of the images in the book.